"I'm not one to show much emotion, but I think it was definitely something I needed." For seven months, David Herrera and Kash served side by side in one of the most dangerous places on Earth. But though their time together was relatively brief, they forged a bond that's lasted many years after. 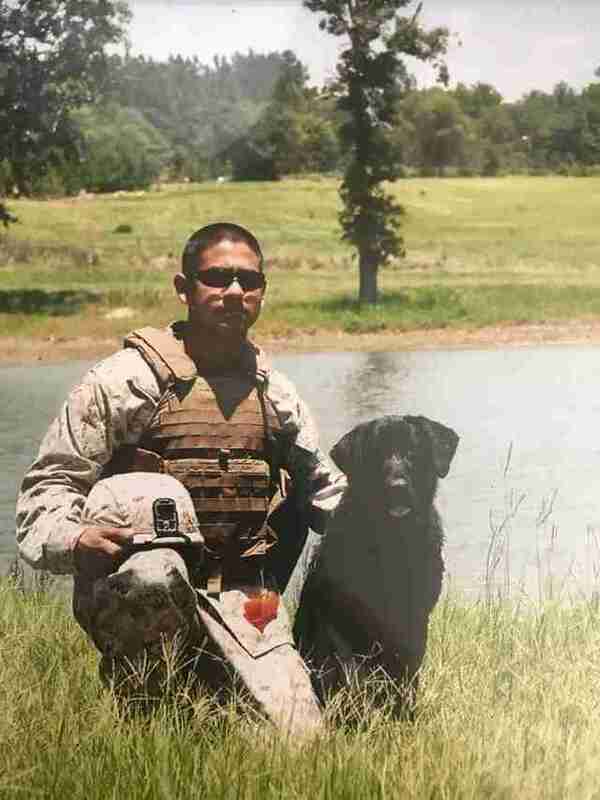 Herrera is a veteran of the Marine Corps, and acted as handler for Kash, an IED detection dog, during their deployment in Afghanistan in 2010. There, they relied upon one another to stay alive, and to keep their fellow soldiers safe from harm. Throughout the experience, Herrera and Kash grew to be more than just colleagues — they became close friends. "Kash was definitely a morale booster," Herrera told The Dodo. "He stuck with me through it, 24/7. He lived with me. He fought with me. He’s been through it and seen it all." After returning home when their deployment ended in 2011, Herrera and Kash were soon parted, each to begin the next stages of their service. Herrera was stationed in California, while Kash was placed with a new handler for another tour of duty. "I honestly thought I’d never see him again. I really did," Herrera said. "I’d looked into adopting him, but I was starting as a drill instructor, so it didn’t happen. It was a rough time not having him around, after the dust settled." Although Herrera had lost touch with Kash, the dog was never far from his mind. So, when he heard recently that Kash had retired and been adopted by another handler out of state, Herrera made plans to visit him. It had been more than six years since they had last seen one another, and Kash is now partially blind, so Herrera wasn't sure what to expect. But upon reuniting, the dog recognized his old friend immediately. "I’m not one to show much emotion, but I think it was definitely something I needed. To be able to catch up with someone I was with for seven months was great." Herrera might not have been able to adopt Kash himself, but the dog will nevertheless remain part of his family forever. 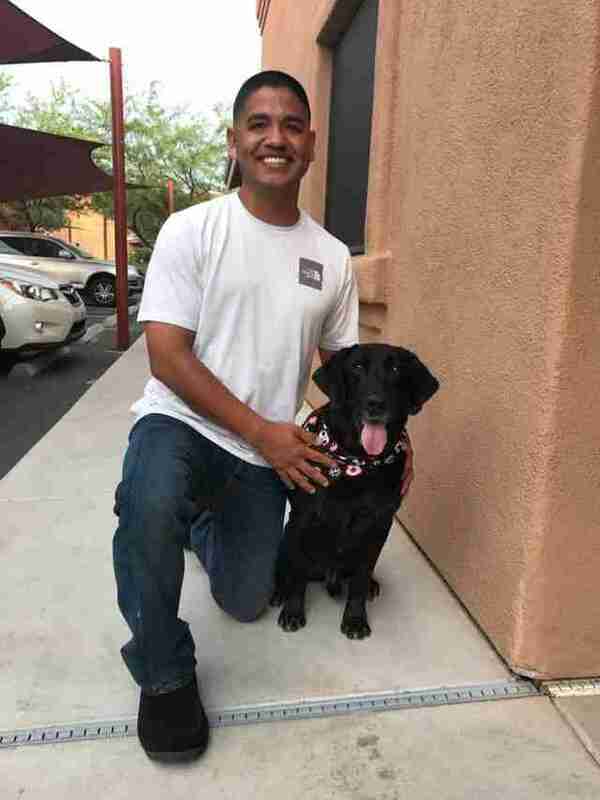 Kash's owner has invited him to visit his war buddy anytime he'd like, so Herrera plans to share in many more sweet reunions in the years to come.